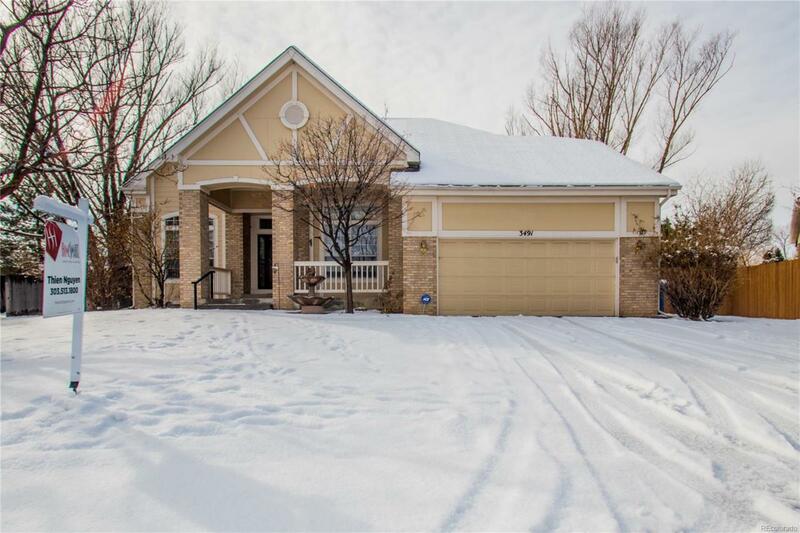 Spacious and beautiful ranch home located on the biggest lot in the highly sought-after Three Lakes Community. At 15,746 sq. ft., you can let your creativity run wild for expansion on this oversized lot. Bear Creek provides for great walking/bike trails. Homes in this community rarely go up for sale, do not let this opportunity pass you by to live in this beautiful up and coming area of Lakewood. Main floor master bedroom with sizable 5-piece master bath and closet! Its an oasis master escape with door to enclosed jacuzzi room. Main floor secondary bedroom with its own full bathroom, a formal living room, a family room, and office with glass French doors (or convert it into another bedroom)! The kitchen offers an island and bar seating. The backyard is beyond perfect for pets, children, outdoor activities, barbecues, and endless entertainment! Excellent public and private schools in this quiet Lakewood location. Nearby light rail stations, restaurants, super markets and malls!